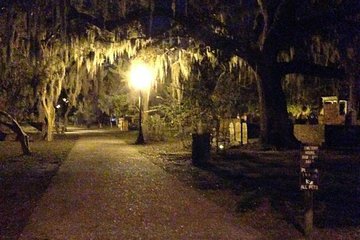 Booking this Savannah ghost tour in advance guarantees your spot on one of Savannah’s spookiest tours. Hear eyewitness accounts of ghost sightings from a handful of historic and contemporary books, including Savannah Spectres, Savannah Hauntings, and Drums and Shadows. Your guide brings these stories to life while also shedding light on Savannah history. Our Tour Guide was very knowledgeable on the History of Savannah and the Ghost Stories...I recommend this Tour and wearing some good comfy shoes.